Why A-1 Foundation Crack Repair Inc.? Most bulkheads are attached to a precast set of stairs that lead into a basement. During the home building process, a black rubber seal is put between the foundation wall and the bulkhead unit. This rubber seal is designed to stop water. Due to the design of bulkheads, the lack of weight holding them in place, and other factors, movement occurs during the winter months and compromises the seal. The water and soils underneath the bulkhead freeze and thaw, causing the unit to move up and down. This movement causes gaps that bring about bulkhead leaks. The bulkhead leak will show up between the precast seams, bottom step, or on the basement walls and floor. 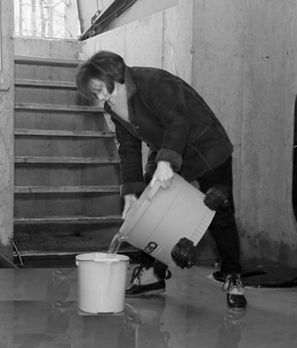 On poured in place bulkheads, the most common area where leaks occur are cracks and where the floor and walls meet. A-1 Foundation Crack Repair Inc. offers several bulkhead leak repair solutions based on the specific type of bulkhead leak that you have. Call now to speak to a professional 7 days a week at 866-929-3171.